It's time for the 4th Annual Holiday Festival at Kruse Museums. It is the perfect opportunity to be surrounded by beautifully decorated trees, a visit from Santa Claus, and more cheerful activities! The Holiday Festival is enjoyable for every age! Get into the holiday spirit! Head to downtown Hamilton for the Old Time Horse Drawn Christmas Parade and meeting with Santa. 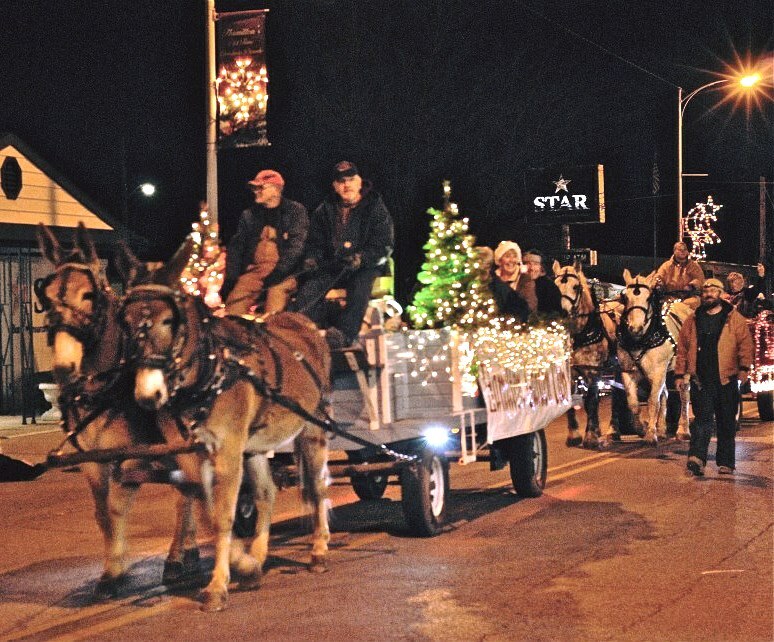 Over 40 horse-drawn wagons decorated in the Christmas spirit parade through downtown. Santa to meet kids at the Gnagy Park Pavilion.